The 5 + 1 format was established in September 2015 during a meeting in New York at a session of the UN General Assembly. The stated purpose of its creation is enabling "common response to security and economic development issues." In fact, the United States is more concerned about Russian and Chinese influence in the region, the development of integration projects (EAEC), and the strengthening of the SCO. This new format demonstrates the US’ continued interest in Central Asia. For a long time, the Central Asian region and neighboring Afghanistan were the main field upon which the events of the “Great Game,” the geopolitical confrontation between the British and Russian empires, played out. After Great Britain ceded the role of being the leading thalassocratic power to the US, it is the United States that has acted the most against Russia in the region. 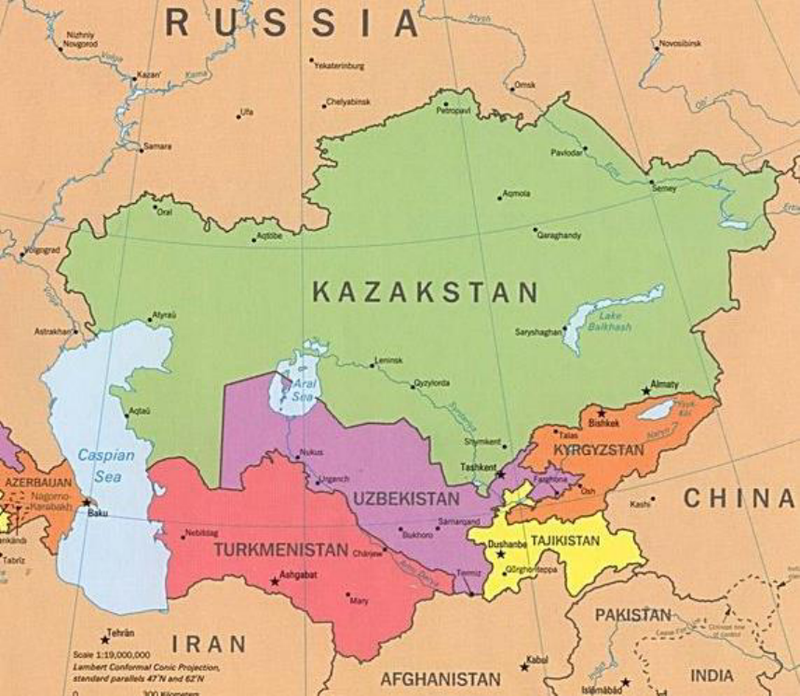 Russia, as before, needs Central Asia to advance southwards towards Iran, Pakistan, and India. The goal of such is not only “access to the warm seas” of the Indian Ocean and the Persian Gulf which are important from a global geo-strategic point of view, but also the creation and strengthening of meridional-aligned economic ties, including energy projects. First and foremost, this concerns gas and oil pipelines to India and Pakistan. The US is seeking to prevent Russia’s advance to the South and China’s to the West. In the mid-2000’s, the founder of the American Institute of Central Asia and the Caucasus at Johns Hopkins University, Frederick Starr, put forward the idea of ​​a Greater Central Asia. To this enlarged region he also included Afghanistan, parts of India, Western China, Iran and Pakistan. Starr also put forth the concept of a New Silk Road involving the integration of the region under the auspices of the US. In 2011, the New Silk Road focus became the official doctrine of the United States with respect to Central Asia. In a geopolitical sense, this implies the separation of the region in the broadest sense from Russia and, in doing so, halting Russian integration projects. It is none other than interaction in the format of the New Silk Road which will be discussed by the Ministers of Foreign Affairs of the Central Asian states and the US State Secretary.